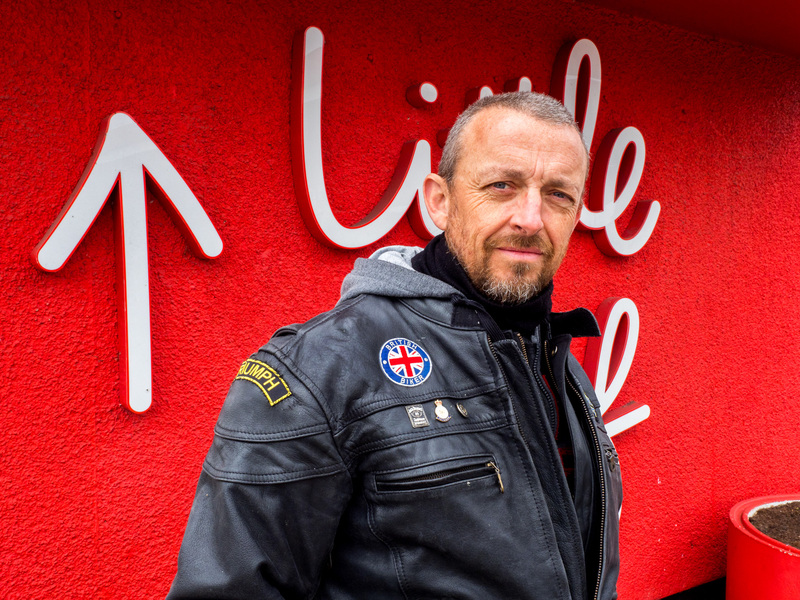 Dave waits for friends at Little Chef for a Sunday motorcycle ride. From Doncaster, he says the town has gone more upmarket. Dave who has invesmants in property and shares, voted remain in the 2016 European Union membership referendum. South Yorkshire.